Our clients have their favorites (so do we!) and in this guide, we’ll give you the full scoop on each one. Whatever your goals may be, there’s a fantastic destination awaiting your student performers! 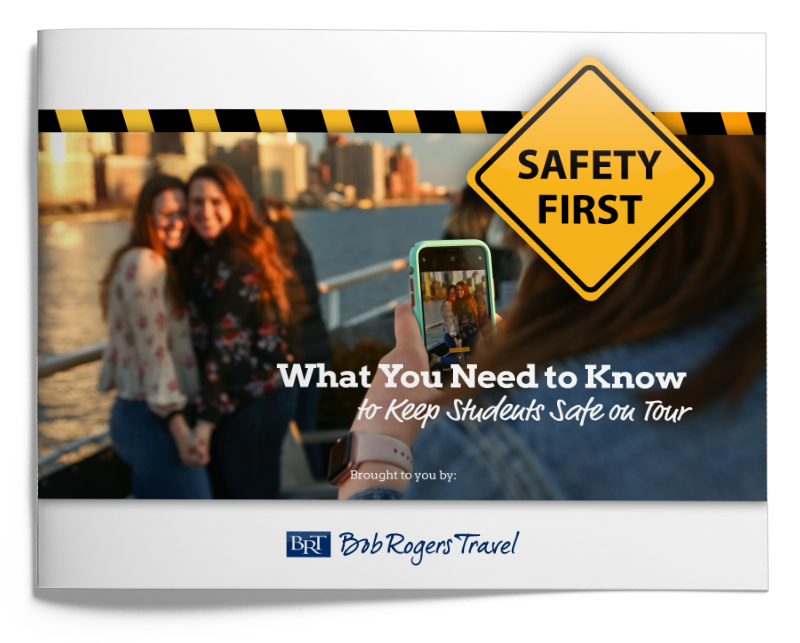 Our comprehensive guide will give you the tools to keep your group safe while on tour, and help you answer common questions from parents and administrators. 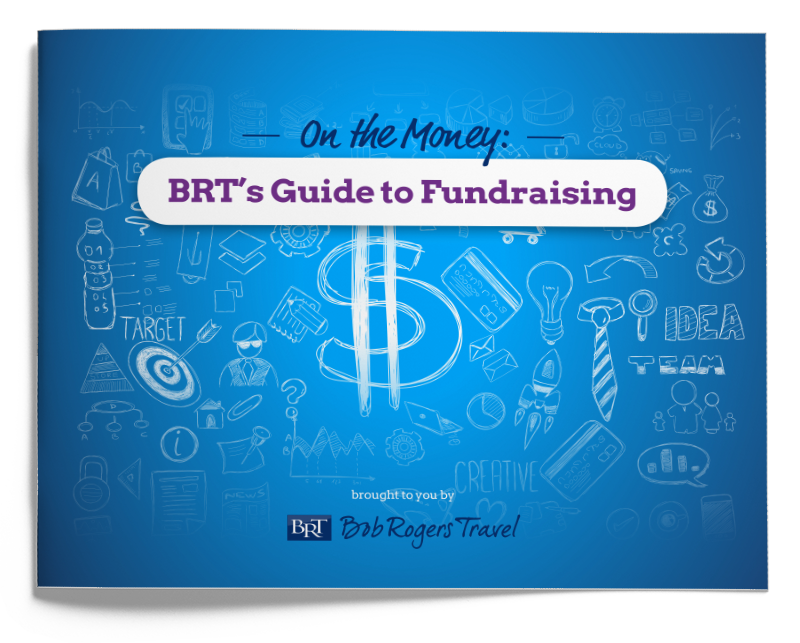 Our comprehensive guide will give you the tools to take your group’s fundraising to the next level. We’re thrilled to share a bit of our “secret sauce” with you throughout this guide – from a planning timeline, fundraising recommendations and the best tips and tricks we’ve learned along the way. 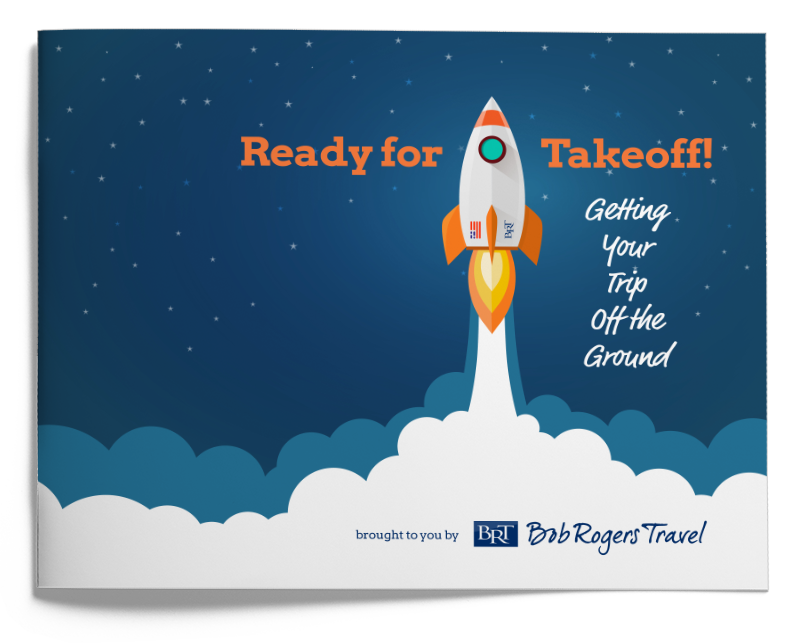 You’re ready to get your performance tour off the ground and into orbit, but you want to make sure your mission is a great one. So do we! 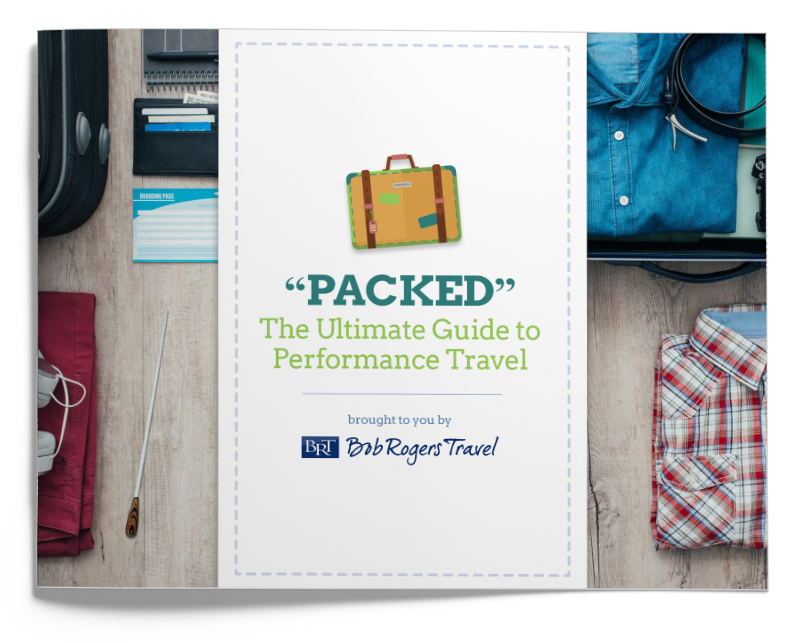 In this guide, we’ll identify the most common trip planning challenges and equip you with the resources to navigate around them. 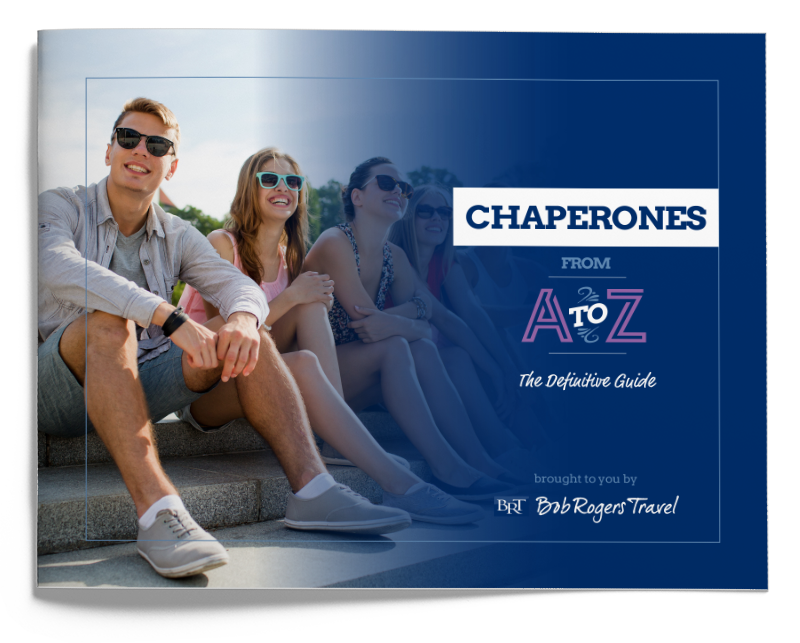 Great chaperones are extremely important to your trip’s success. This guide is all about how to find them, equip them, delegate responsibilities and navigate any potential challenges. 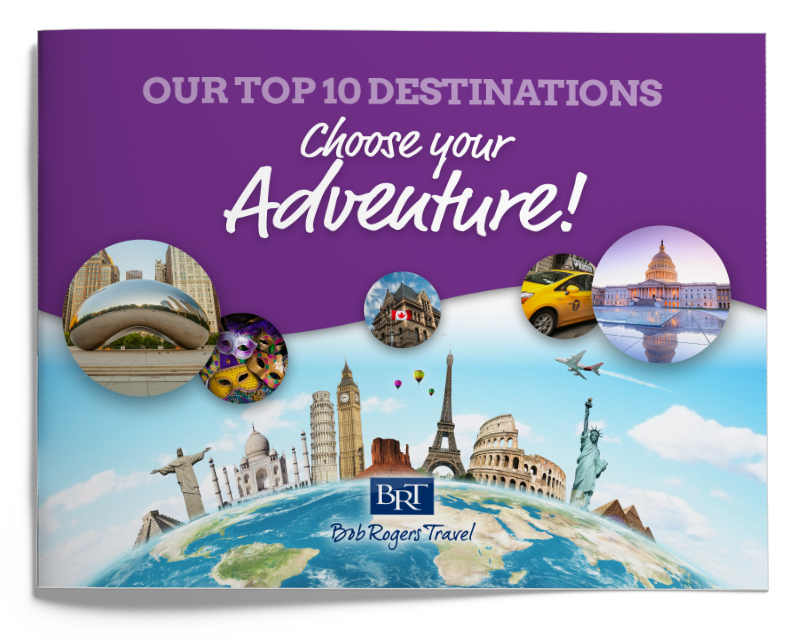 Chicago – with its vibrant arts community, world class educational attractions and friendly Midwestern values – consistently ranks among the top destinations for student performance tours. 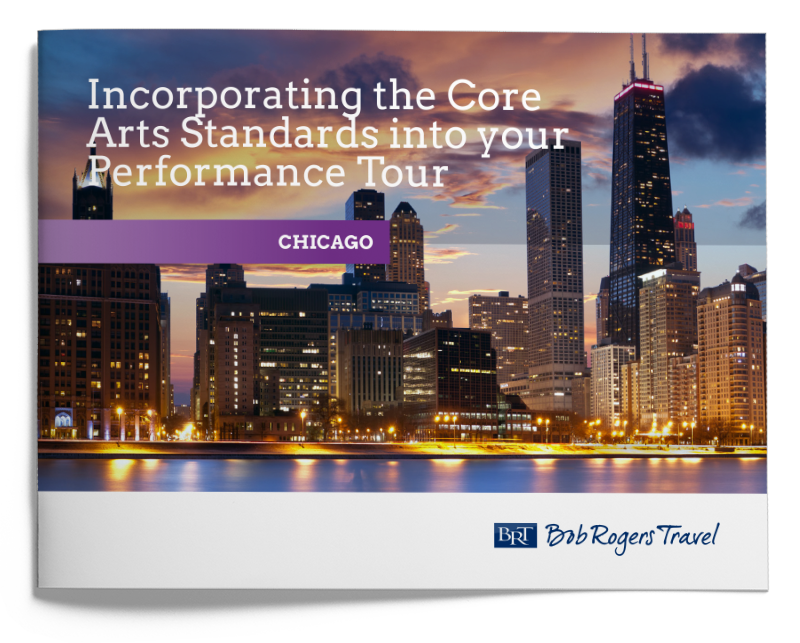 The following pages provide insight in how to maximize the educational value of your tour by combining the Windy City’s most popular and student-friendly clinic, performance, show and attraction options with lessons based on the National Core Arts Standards. The Walt Disney World® Resort is home to the world’s most popular theme parks and a wealth of educational experiences, making it a top choice for student performance tours. 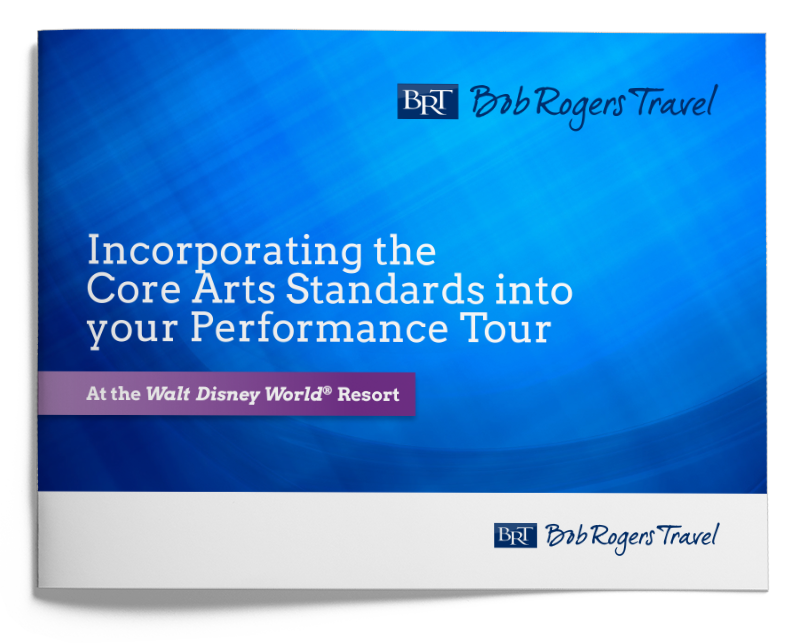 The following pages provide insight in how to maximize the educational value of your tour by combining the resort’s most popular and student friendly performance, workshop, entertainment and attraction options with lessons based on the National Core Arts Standards. Home to 40 Broadway theatres, many of the world’s preeminent arts organizations, and a wealth of cultural sites, New York City is a top destination for student performance tours. 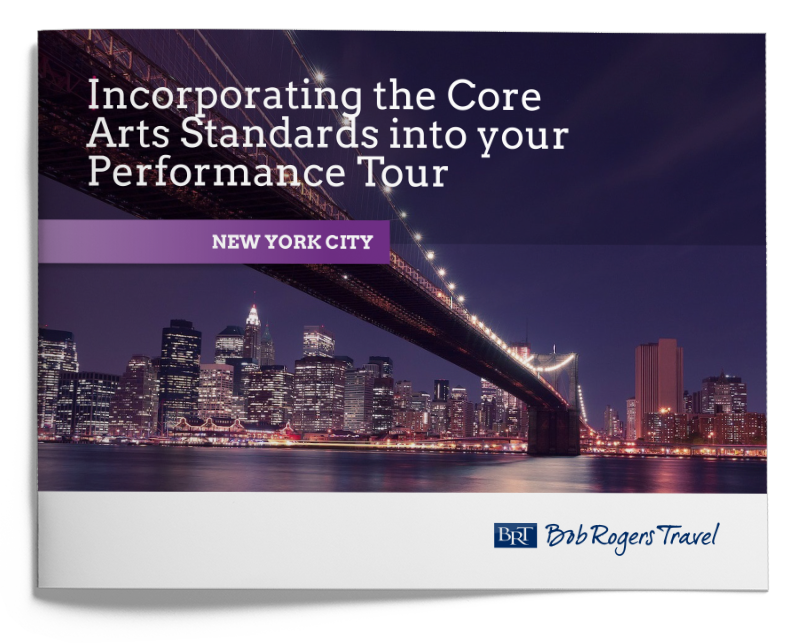 The following pages provide insight in how to maximize the educational value of your tour by combining the Big Apple’s most popular and student-friendly clinic, performance, show and attraction options with lessons based on the National Core Arts Standards.